A man accused of threatening to blow up the Starbucks in the Yorktowne Shopping Center, in the Falls Church section of Fairfax County, is due in court for a preliminary hearing next month. David Velasquez, 28, is facing a felony charge of making a bomb threat in connection with the Saturday afternoon incident, which prompted the evacuation of the cafe and surrounding businesses. His preliminary hearing for the bomb threat charge is scheduled for Dec. 19, court records show. If convicted on that charge, he could be sentenced to up to 10 years in prison. Velasquez is also charged with being drunk in public. 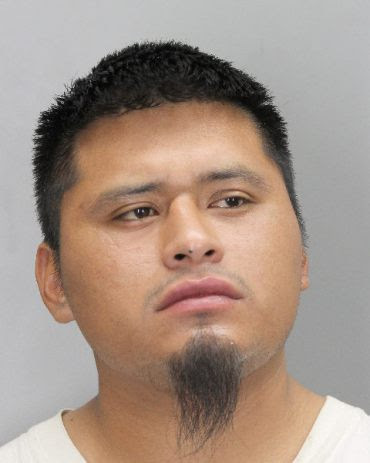 It’s the 10th time he’s been arrested and charged with being drunk in public in Fairfax County so far this year, according to General District court records. A 28-year-old Fairfax man is facing charges for threatening to bomb a Starbucks in the Yorktowne Shopping Center around 4 p.m. on Saturday. David Velasquez was drunk and passed out inside the Starbucks, located at 8104 Arlington Boulevard when an employee woke him and asked him to leave. Velasquez refused and said he had a bomb in his backpack that would explode in two minutes. He then went inside the bathroom and would not come out. Employees immediately evacuated the business and called 9-1-1. Our officers arrived and asked adjoining business to evacuate as a precaution. Negotiations were attempted for almost 70 minutes before Velasquez finally walked out of the front door and was arrested. Due to his level of intoxication, Velazquez was taken to an area hospital to be medically treated. Velasquez was then taken to the Adult Detention Center, where he was charged with threats to bomb or damage buildings , and being drunk in public. He was held on no bond. Our Explosive Ordinance Division responded and examined the backpack, which did not contain any hazardous items.